2011 starts right here…. 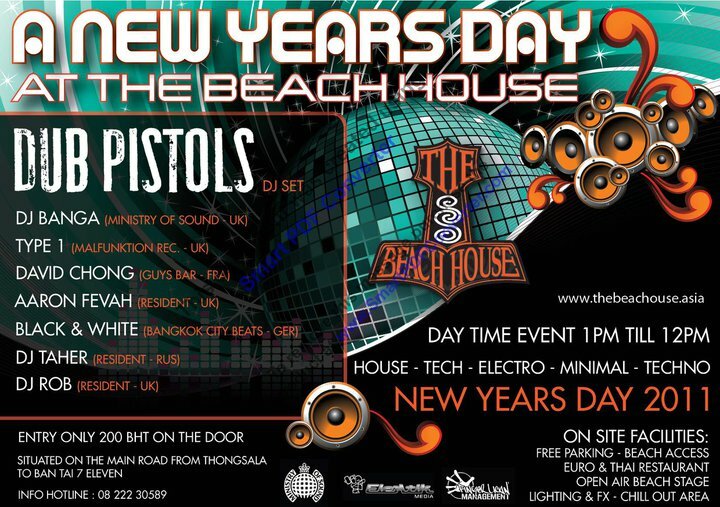 The Beach House, Koh phangan hosts the Dub Pistols for their very first DJ show of the year. If you’re in Thailand, then this really is the place to be to kick the year off in true party style. Tickets are available and selling fast now, so call the info line for yours: 08 222 30589.